Peeing blood can be incredibly scary. Most of us do not expect to see blood when we go to the bathroom, When we do, we often think the worst. The good news is that peeing blood often signifies a simple medical condition that can be easily treated, but it is important to seek medical attention to be certain of the cause.. FastMed Urgent Care is a network of modern, state-of-the-art walk-in clinics throughout North Carolina and Arizona. 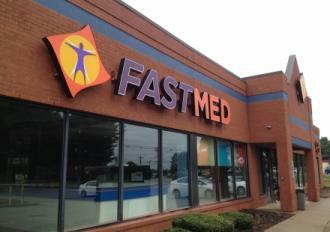 Open 7 days a week, 365 days a year, FastMed can immediately address a wide range of health care issues. What Causes Me to Pee Blood? Kidney stones. Also known as renal lithiasis, kidney stones are caused by minerals in your urine that form crystals or hard deposits inside your kidneys. If kidney stones grow large enough to cause obstruction, urination may become extremely painful, and you may begin peeing blood. Urinary tract infection. Your urinary tract consists of your kidneys, ureters, bladder, and urethra. Bacteria can cause a urinary tract infection to occur in any of these areas and can lead to painful urination, burning, bloody urine, and foul-smelling urine. Medications. Penicillin, aspirin, blood thinner, and certain anti-cancer drugs can cause visible blood in urine. Enlarged prostate. Common in older men, an enlarged prostate can cause an obstruction to urine flow that can make it hard to urinate and may even cause them to pee blood. Kidney disease. It is a life-threatening condition. In fact, kidney disease is the 9th leading cause of death in the United States. Your kidneys act as a filter to eliminate wastes and excess fluid from your blood. This waste is excreted in your urine. Kidney disease causes fluid, electrolytes, and wastes to build up in your body, which can eventually lead to death if not properly treated. If you have questions about your health, you have a right to find answers! FastMed has extended hours and is open 365 days a year to ensure quality medical care is available to you when you need it. Check out our blog to read health tips, recipes, and to learn more about what we do!